While candidate records inevitably age over time and can become outdated, this definitely does not have to be the case. A candidate record can only truly go “stale” if no one ever makes contact and updates the record with more current information from time to time – and it need not even be every 6 months. Any recruiter worth their salt will attempt to maintain periodic contact with most candidates and update their information as appropriate, regardless of their job search status. This can also be automated to some extent with strong and effective CRM functionality – so even if the recruiter forgets to follow up with someone every 6 months, the CRM won’t. While human capital data in the form of resumes and candidate profiles may get outdated, it never truly loses its value. 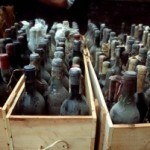 Resumes and candidate records are like fine wine – they only get better with age. Yes, I believe the value of human capital data actually increases over time. If I find a resume of a 2 year Unix systems administrator today and permanently capture them into my ATS, over time that person will gain experience and expertise, and likely advance their career along the way. In five years I will have a 7-year Unix admin, a Unix systems engineer, perhaps a project manager or even a storage area network specialist – who knows? No matter their career path and progression, I will stay in touch with them and routinely update their information – regardless of their job search status. The same is true of nearly every profession – accountants, attorneys, physicians, customer service reps, mechanical engineers, recent college grads, etc. – they will all gain experience and advance their careers over time. Did you know that some people who post their resume in online resume databases (job boards and such) sometimes pull their resume down shortly after they post it, rendering it unfindable? Sometimes in a matter of hours! Social networking sites such as LinkedIn and Twitter can also suffer from a similar effect. Because they are based on UGC (User Generated Content), at any time any user can make their profile private and unsearchable (even via X-Ray searching in some cases! ), or simply remove content that may aid you in searching for/identifying them based on their professional skills and experience. However, if you’re always on the lookout for certain types of professionals, scouring every source available to you, and you permanently capture the information you find into your ATS/CRM, you may essentially be collecting rare vintages (yes, I’m going to continue with the wine analogy) that may no longer be in circulation in the near future. In other words, when you find and capture that resume or profile of the 2-year Unix admin (or accountant, or attorney, or recent grad, etc.) who pulls their resume or alters their social networking profile at some point in the future – you may have in your possession a candidate that may never be found by anyone else again. This would allow you to specifically search for that particular candidate and reach out to them in a year or two’s time – when they are passively looking or not looking at all – and present them with a position that is well aligned with the next step in their career. At this point, you may literally be one of the few people who have quick and easy access to that candidate as their career progresses, regardless of their job search status. I believe that a well stocked ATS candidate database is likely to consist of mostly (approximately 70%) candidates who are not looking or who are passively looking. That percentage is probably even higher when you consider only candidate records that have been entered/created over three months ago. So, if you’re one of those recruiting professionals who believe the hype that active candidates are bad and passive candidates are good, you should be excited about the prospect of building a private “passive” candidate database that you can mine to your heart’s content. While I am most decidedly NOT one of those people who buys into the idea that passive candidates are the “best” candidates, I can tell you from experience that candidate closing and control is almost a non-issue when you are dealing primarily with people who are not actively looking, are not being called by every other recruiter in the known universe, and don’t have five interviews scheduled this week and 2 offers in hand. So it IS nice to be able to purposefully target and dip into a large pool of well qualified candidates, who are not actively looking, and many of whom no one else has quick and easy access to. It’s not just nice; it’s also a significant competitive advantage. If you have a relatively large candidate database (10,000 to 1,000,000+), you needn’t worry about trying to maintain “relationships” with all of them – it’s actually impossible, unless your definition of “relationship” includes automated emails. If you’re overly concerned with having ultra-fresh information on all of the candidates in your system at all times – don’t be. It isn’t really necessary. I’ve called and made easy, frictionless hires with candidates who had records/resumes that had not been updated in four years. A seasoned sourcer or recruiter can easily make an educated guess at “career trajectory,” and when you make a call to someone whose resume is not on the Internet, not on LinkedIn, not in an online resume database – you essentially have a candidate no one else has practical, targeted access to – and closing/control is a non-issue when you call with the right opportunity, by design. If you permanently capture data on your target professionals relatively early in their careers, you can cultivate their candidate records as their careers progress, allowing you quick and easy access to them as they evolve into more experienced passive or even non-job seekers – the virtually “ungettable” candidates that your competitors wish they had access to. If this approach to valuing and leveraging your candidate data doesn’t appeal to you, and you happen to be growing tired of having to store all of those old, stale resumes in your ATS/CRM – give me a ring – I’d be glad to take them off your hands.